In a fascinating article on the IPL, Dan Weston uses his knowledge and expertise gained in the world of tennis to transfer data driven predictions to cricket and in particular the IPL. 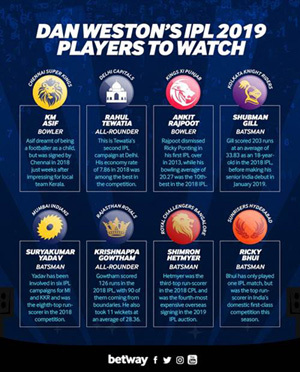 In his full article here, Dan explores the players to watch in the IPL 2019 and argues that the coaches and franchise holders would do well to take on board the stats and data before bidding BIG for players, in the Player Auctions, or making team player selections on match days. Also if you fancy a punt, Betway is the place to go and there are lots of markets open, particularly in-play, where player stats can be invaluable. Weston says - “Quite a few coaches are old school, so it’s difficult to get them to buy into what you’re offering”. However, he set up a business supplying data to agents and teams to try and narrow the margin of error in these areas. Simple things like performances in different T20 leagues and cricket formats (Test, One Day and T20) are analysed against the playing conditions expected in the part of the world where the tournament is being played, rather than just by runs and wickets in the scorebook. 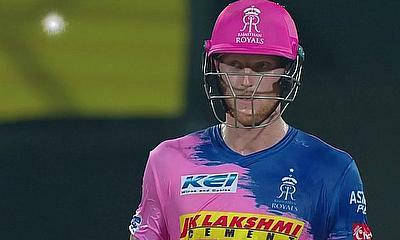 For instance, over the years, some of the bigger purse players in the IPL have underperformed to their value paid at auction – Tymal Mills , Ben Stokes and possibly Sam Curran this year?